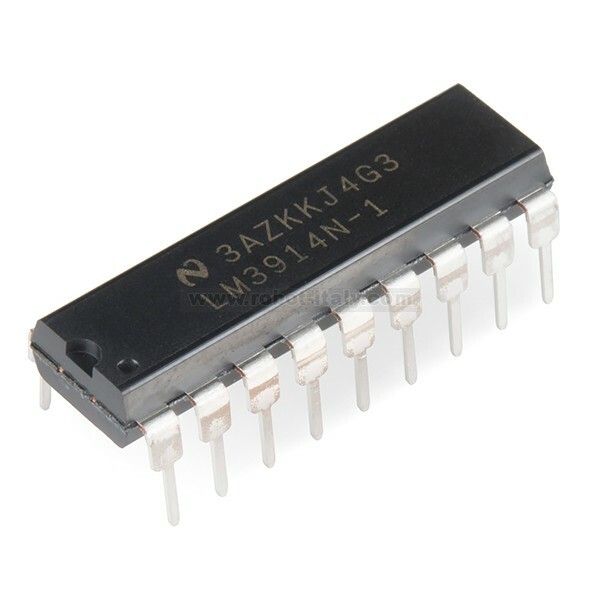 This is the LM3914 Dot/Bar display analog-controlled LED driver that uses an alinear output scale. With this driver all it takes is a single, analog signal to drive a string of 10+ LEDs, which can be configured into either bar mode (where all LEDs below a certain point turn on) or dot mode (with only a single LED on at a time). 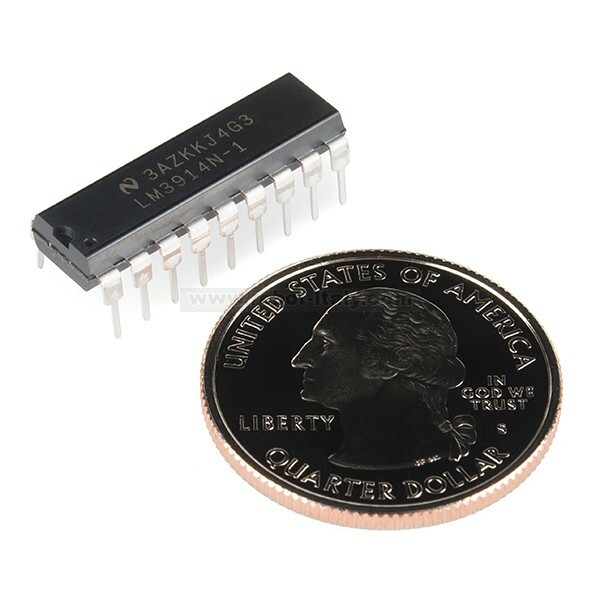 This is the LM3914 Dot/Bar display analog-controlled LED driver that uses an alinear output scale. With this driver all it takes is a single, analog signal to drive a string of 10+ LEDs, which can be configured into either bar mode (where all LEDs below a certain point turn on) or dot mode (with only a single LED on at a time). Hook them up properly, and you can create all sorts of nifty multi-LED displays. 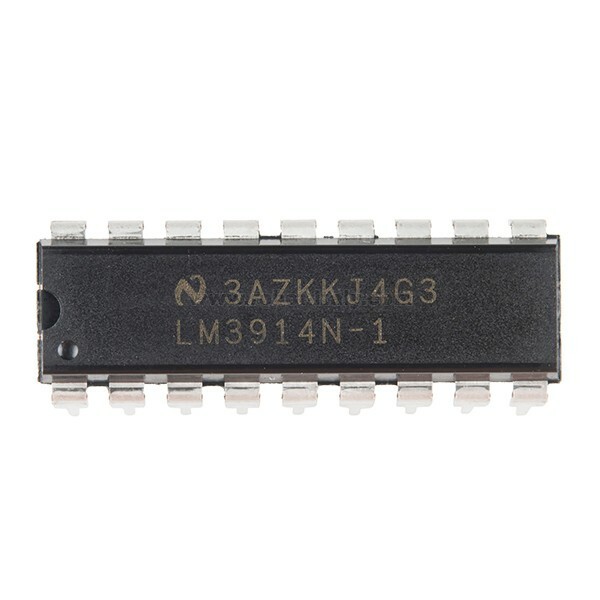 The LM3914 is very easy to apply as an analog meter circuit. A 1.2V full-scale meter requires only 1 resistor and a single 3V to 15V supply in addition to the 10 display LEDs. If the 1 resistor is a pot, it becomes the LED brightness control. The simplified block diagram illustrates this extremely simple external circuitry.